For today's super easy frugal Christmas craft we've raided our kitchen cupboards & found... cupcake cases! This activity was initiated by Minnie, & she clearly loved it as nearly all our windows are now adorned with these paper snowflakes. 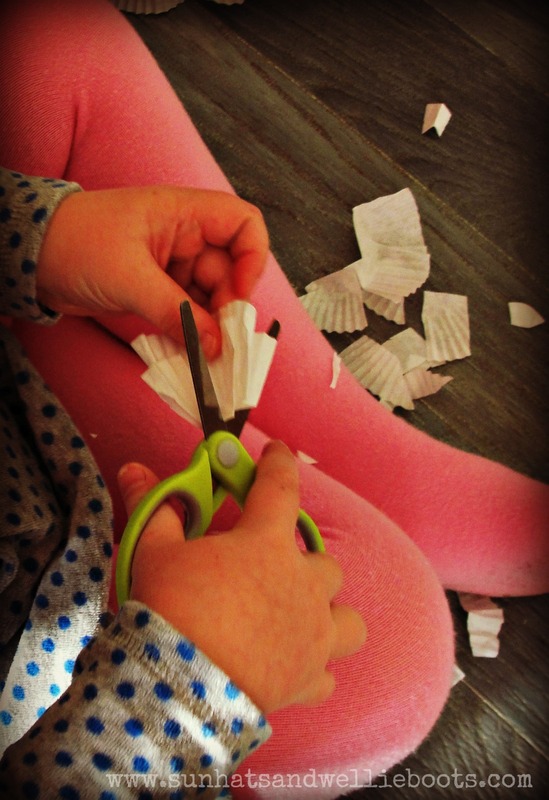 As a child I remember making snowflakes from paper doilies, but as we're rather short of those in our house (we're so unsophisticated) Minnie created hers from cupcake cases. She started by folding the cupcake case in half, & then half again, & again. Then she cut small shapes along the edges (leaving a few spaces) & carefully unfolded to reveal the patterns. 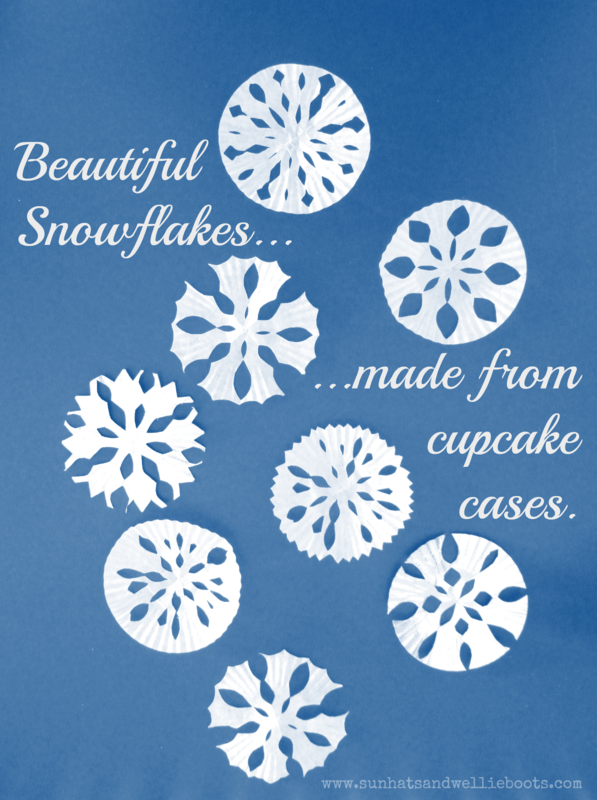 Any cupcake/bun cases are perfect for this craft, & coloured/patterned cases make beautiful snowflakes. Cutting the shapes out to create the patterns was great for problem solving & Minnie was able to adapt & discover which cut shapes produced the most effective patterns. 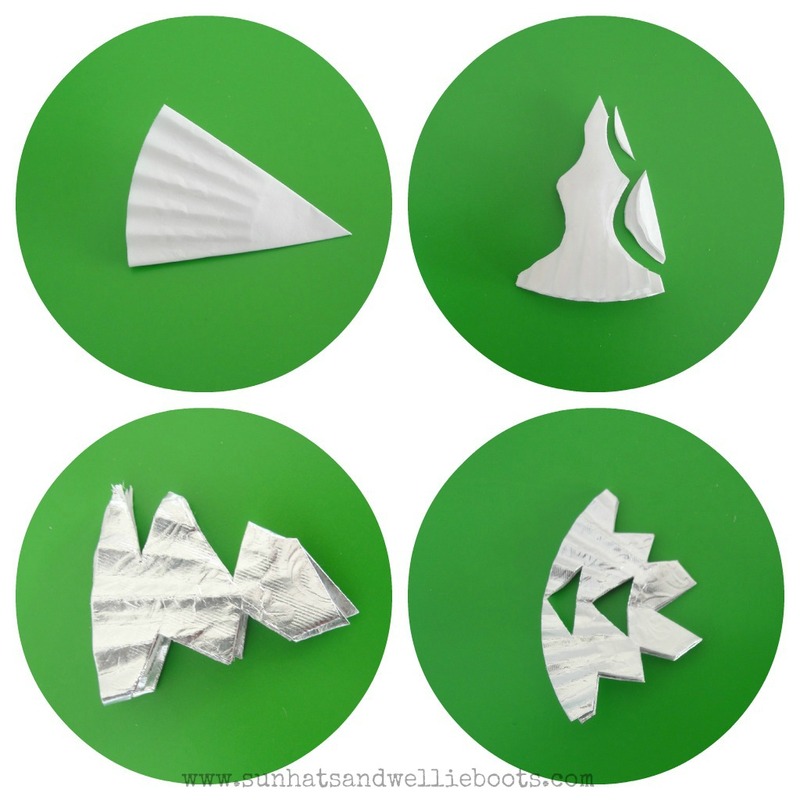 It was also a neat way to explore shapes, & fractions as we folded the paper. 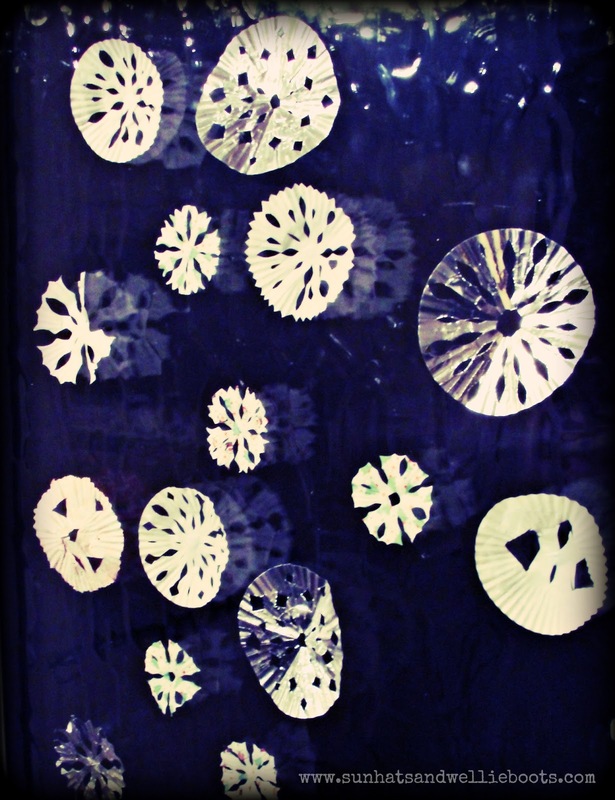 With a piece of sticky tac on the back of the snowflakes we turned our windows into wonderful wintry scenes. Minnie kept some snowflakes back so she could throw them around the room to see which ones floated the best! Another great opportunity to explore shape & design. Simple snowflakes that look beautiful floating, or decorating windows!